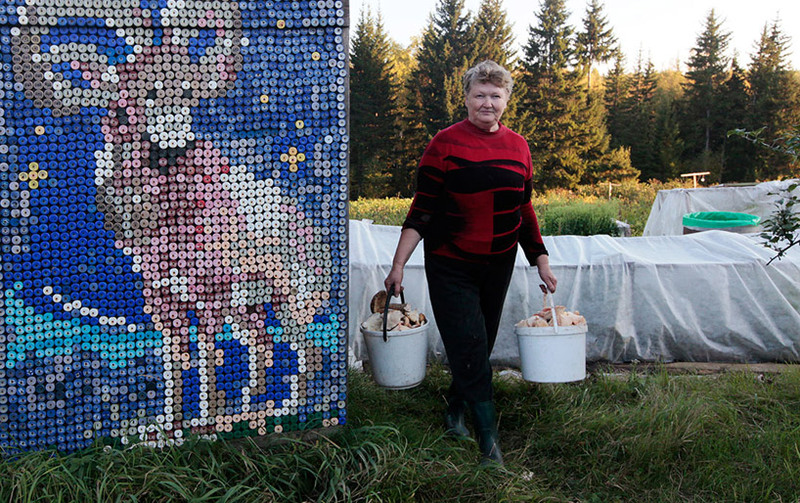 Russian pensioner Olga Kostina has a very cool art project going on. 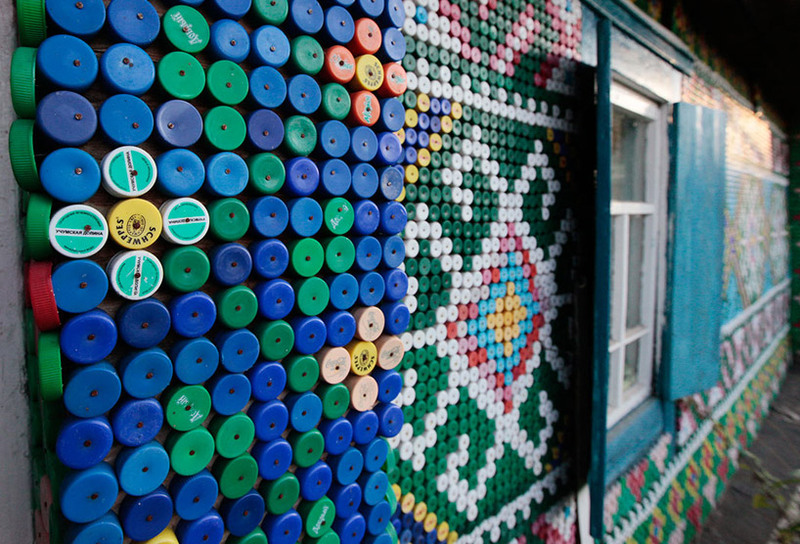 She is in the process of covering her houses on the Siberian taiga with plastic bottle caps, nailing them to the wooden walls one by one. 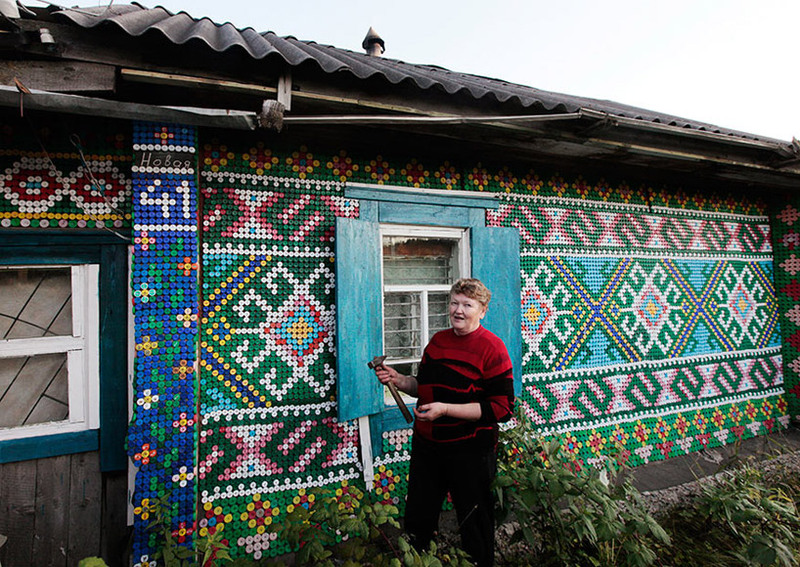 The themes range from cute pixel animals to traditional Russian macrame motifs, which is a textile knotting technique. The images are the courtesy of REUTERS / Ilya Naymushin. Via Odditycentral.